Garden sprayers distribute pesticides, herbicides or fungicides to control insects, weeds or fungal infections. Since cleaning the hose and nozzle of a garden sprayer can be challenging, use the sprayer for only one purpose, like for spraying a fungicide. Purchase additional garden sprayers if needed for other uses, like to spray pesticides. The best garden sprayers depend on the needs of the gardener and how large the area is to be serviced. Plastic containers, from as small as one quart up to two gallons, can dispense liquid chemicals. 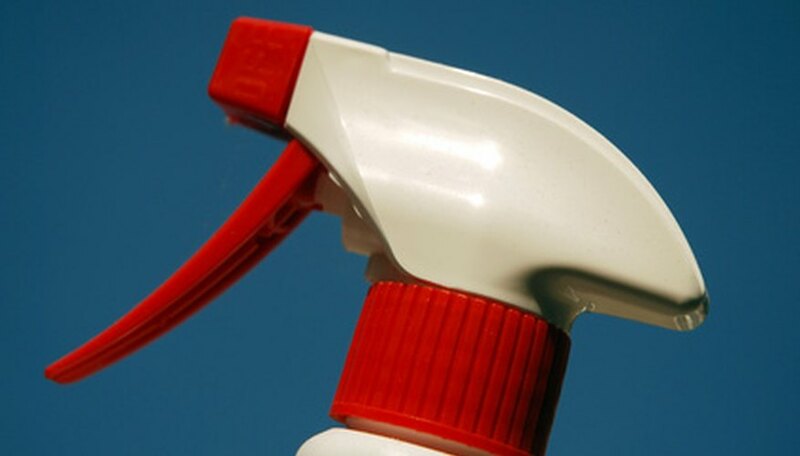 The spray container can be operated with a trigger action to apply small, individual does with each squeeze with one hand, or the container can operate under compressed air, forcing the liquid chemical preparation through a hose and nozzle. The pump hand-held garden sprayer requires one hand to carry the container and one hand to hold the spray wand. Carried by a handle that can also function as the air pump handle, this form of garden sprayer is useful for small garden plots. Operating with air pressure, the back pack garden sprayer has a larger container that can hold up to four gallons of liquid. The air pressure can be manually applied by pumping a handle or pressure can be maintained through a small engine. The back pack garden sprayer is suitable for a large garden or landscape and can hold pressure longer than hand-held models. When dealing with a field of low-growing flowers or vegetables, the boom sprayer may be the most efficient method of dispersing a chemical treatment. Boom sprayers, which are comprised of a large barrel to hold the chemical preparation and a system of pipes and value for dispersing the mixture, are pulled by a tractor. When working with tall plants, like fruit trees, the high pressured hydraulic sprayer uses a hose and a wand to shoot chemical preparations at the foliage. A large drum with electric or gas-powered hydraulics is secured to a two-wheel trailer that can attach to a hitch on a car, truck or tractor.